How to flash your Zenfone! Step by step instructions. How to flash your Zenfone. Step-by-step instructions on how to flash your Zenfone 5 or 6 to an English, or WW, firmware. ASUS Zenfones are great phones for the price, but if you purchased one of these phones from a Chinese retailer like Fasttech, you may be shocked to discover that the phone is really not usable if you don't speak Mandarin. Most notably, Google Play is NOT available when the Zenfone is running CN, TW, or CUCC firmwares. From my experience purchasing Zenfones from Asia, they are typically using the CUCC firmware. Fear not, as flashing the Zenfone 5 or 6 so that it is running the WW (or World Wide firmware) solves all these problems, and the process is not at all difficult and all necessary tools and components are freely available. On this page, bolded represent important notes, boxed words represent menu items or the target of an action you must perform on the Zenfone, monospace represents code you type on your computer in a command prompt or terminal window and dark monospace represents the output from the Zenfone or your computer. If you have a computer readily available, and are able to connect your Zenfone via USB to the computer, please continue. If not, stop and find a computer! Before you begin, boot your new phone, and ignore all requests to configure it, as we will soon be wiping the phone clean. Wait a few minutes, and if a notification for updates is shown, install the updates before continuing. The first thing we will need to do, is allow your Zenfone to install APKs from unknown sources. This is because several application we will use are not available from the Play store. We will also enable USB debugging. From your phone's main screen, swipe down from the top and choose the gear icon. This will take you to the settings dialogue. Swipe down the page and under the Personal section, choose Security. From your phone's main screen, again swipe down from the top and choose the gear icon. Swipe down to the bottom and choose About, and then Software information. Rapidly tap the Build Number field. A message should appear that instructs you to continue tapping, and after enough taps, the phone displays a message at the bottom of the screen indicating that you are now a developer. Now go back to the main settings window, and choose Developer options. Scroll down to Debugging and enable USB debugging. If you're Zenfone is currently plugged into your computer, a window may pop asking you to authorize the debugging connection. Choose to always allow the connection. Lastly, we will download a recovery image and the new firmware we would like to run (downloads below). Additionally, you can download the unzipped fastboot.img from this site so that you do need to unzip the firmware image. This site only provides the most recent downloads for the Zenfone 5 and 6. You are free to use any version, and you can find more firmware versions on ASUS' website, and other recovery images can be found from fastbone's XDA Developers thread. fastbone warns that your recovery image must be a lower version than the firmware you'd like to install, however. We need to now unlock the bootloader. Luckily, ASUS provides the tools to do so. Download the boot unlocker from ASUS, or from this site directly from your Zenfone. Since we will need the APK to run on the Zenfone, it is easiest to download from this site. Using the browser on your Zenfone, go to this website, and download the APK, install it and run! Install the unlocker, and run the unlocker application on your phone. If the application cannot unlock your phone because your device is incompatible, please check the notification window for any updates available to your phone. Install them before continuing beyond this step. My last Zenfone 5 that I flashed last week would not let me root it. I thought about it and it doesn't make sense that flash a new OS to the phone would require the previous OS to be rooted. I ended up skipping this step and everything worked out. Now, we will download the application that will root your phone. As with the unlocker, we recommend you download it from this site below, as the APK has already been unzipped. You will need to do this from the browser on your phone. This app will work for both Zenfone 5 and 6. For more information on what "root" is, and why we need it, read the Wikipedia page on Superuser. Using the browser on your Zenfone, go to this website, and download the APK. IMPORTANT! After the download has completed, disable wifi, and mobile data, and go into airplane mode. Now, click on the downloaded file in your notifications, and install the app. Reiterating what is above, ensure you followed the important notice above the download links. Once you have installed the app, run it. Continue through the dialogs, and when given the option, choose SU. Continue following the dialogs and reboot your phone when instructed. After the reboot, run again, and grant root permission for the app. If the app confirms that the rooting has been successful, continue on. Drivers are needed to instruct your OS on how to communicate with the Zenfone. Only Windows users need to install drivers, however. Linux and Mac OS X users are already capable of communicating with the Zenfone via USB. You need to install ASUS' USB drivers on your computer before you can flash your Zenfone. Download this on your computer. After you have downloaded the USB drivers, extract them by right clicking on the download file, and choosing Extract here, or something similar. Go to the Windows_XP_VISTA_7_8_8.1/Android folder. Right click on the android_winusb.inf file and chose Install. 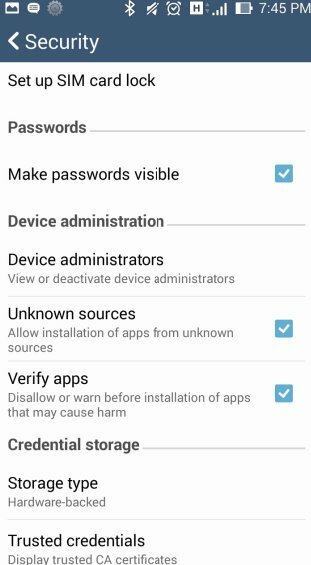 Open Start -> Control Panel -> Device Manager on your computer, and connect your Zenfone. You should see an "ASUS" device entry at the top. Now, download the "Minimal ADB and fastboot" tool suite. Download this on your computer! Your device should be listed before you proceed. I cannot provide guidance for this OS, but I believe the process will be similar to that of Linux. Please submit comments if you can help. If you didn't download the fastboot.img above, you will need to extract it from the firmware zip archive that you downloaded before you continue. This section requires you to go to your computers command prompt. For Windows users, click on the Start button and click on Run command. Type in cmd, and press enter. A black screen should appear before you continue. When you are at the Android boot menu (black screen with small text), you will notice the fastboot messages at the bottom of your screen indicating that it is waiting for a command. Go back to your computer, and with your Zenfone still plugged in, flash a fastboot image to your Zenfone. If you are in Linux, and the output is waiting for device, please see below. Using the volume keys for up and down, on your phone, choose the Reboot Droidboot option from the menu, and press the power button once this option has been selected. Once we have returned to the fastboot menu after the reboot, choose recovery and press the power button. I initially tried to perform the firmware flash using Linux, but I encountered some difficulties with getting the fastboot step to recognize my device. I had tried adding the udev rules using the vendor id shown by lsusb -v (Android fastboot waiting for devices and Android Fastboot devices not returning device) and using fastboot and adb as root (via su) and specifying the device id for fastboot via the -i parameter, but ultimately, I had to boot my Windows laptop to be able to get fastboot to recognize the phone. After Android has booted into recovery mode, you will see an Android logo and harmless Command not found error. Press volume up (or down, or power) once and another menu should come up. Now, choose the Sideload ADB option, and press the power button once to continue. Be sure to use the zip archive here, and don't use an extracted directory, if you made one. If all goes well, the Zenfone should be reporting its progress. It takes about 20 minutes to flash the new firmware. Once the phone indicates completion, choose the factory reset/wipe option to completely wipe your phone including the cache partition. That's it! Power off your phone and when you turn it back on, you should have brand new, clean, English Zenfone with all the Google apps! To the best of my knowledge gathered from other sources, your Zenfone should also provide you with a notification when Android system updates are available, and you should not have to do this again to upgrade your version of Android. As of February 2015, Lollipop has not been released yet by ASUS, but they are planning to release soon, and your phone should update. April 22, 2015 - Noted that rooting is not necessary in the 'root' section.